CHAUSSEGROS DE LÉRY, LOUIS-RENÉ, seigneur, army and militia officer, office holder, jp, and politician; b. 13 Oct. 1762 in Paris, son of Gaspard-Joseph Chaussegros* de Léry and Louise Martel de Brouague; m. 20 May 1799 Madeleine-Charlotte Boucher de Boucherville, daughter of René-Amable Boucher* de Boucherville, a seigneur, at Boucherville, Lower Canada; d. there 28 Nov. 1832. Finding it impossible to carve out a place for himself in France after the British conquest of New France, Gaspard-Joseph Chaussegros de Léry left Louis-René and another son with a nurse and returned to Canada in 1764. 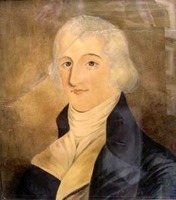 At Governor Guy Carleton*’s suggestion he tried to bring his children out, but it was not until June 1770 that Louis-René rejoined his parents at Quebec. 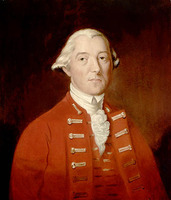 They intended him to have a military career, and in December 1774 on Carleton’s advice his mother approached Viscount Townshend*, master general of the Board of Ordnance, hoping to obtain a lieutenancy in the artillery for her son. Unfortunately Louis-René could not become an officer because he lacked the practical knowledge required; in addition, according to Townshend, not being a Protestant constituted an insurmountable obstacle. When Mme Chaussegros de Léry informed Carleton, he was extremely annoyed and reportedly said that in the light of the revolutionary ferment in the American colonies he thought it a serious matter “for the Canadian nobility to discover it was prevented by religion from holding positions in the military.” The young Chaussegros de Léry attended the Séminaire de Québec, where he finished his studies in August 1782, and in October his father approached the current governor, Frederick Haldimand*, seeking a place for him in the service of the government. But in vain. The next August, giving up hope of finding anything in Canada, Louis-René took the safe-conduct he had been given and went to try his luck in France. Through prior arrangements with some relatives, Chaussegros de Léry entered upon a military career by joining the king’s bodyguard on 8 Jan. 1784. According to his brother François-Joseph he was “a very promising lad who, with his readiness to learn, his agreeable nature, and his good looks, will turn out well.” At age 26 he was a captain. The French revolution, however, jeopardized his future. In 1791 he emigrated to Germany with a good part of the nobility and fought the revolutionary movement with the forces of the king of Prussia. After the defeat at Valmy, France, on 20 Sept. 1792 he was discharged. In November he took refuge in Great Britain, at the home of an aunt. For two years he again had a difficult time trying to find a patron and a regiment that would take him in. He exchanged long letters with his brother Gaspard-Roch-George, who was also living in exile and was seeking employment. Neither had any thought of looking for help from François-Joseph, since he was in the enemy camp, having managed to rise in the revolutionary army. 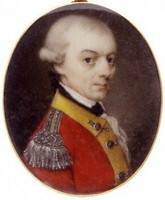 Faced with the failure of his endeavours in Europe, Louis-René decided to return to Lower Canada, where he had high hopes of being appointed an officer in the Royal Canadian Volunteer Regiment which Governor Carleton, by now Lord Dorchester, had been ordered to raise in February 1794. To win the good graces of the government, Chaussegros de Léry hastened upon his return in June 1794 to join with 130 citizens of Quebec town in founding an association “for the express purpose of supporting the Laws, Constitution and Government of the Province of Lower Canada.” The group was taking up an initiative launched in Great Britain in December 1792 as a response to the revolutionary agitation in France. But Louis-René did not get the post he coveted. 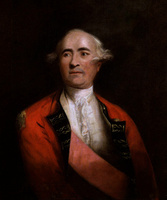 It was not until after his father had died in 1797 and he himself had become head of the family that he received, on 25 Oct. 1798, the rank of captain in the 2nd battalion of the Royal Canadian Volunteer Regiment. 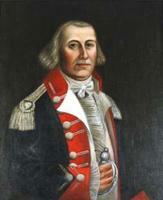 His appointment met with some opposition from the British in the colony, particularly from Chief Justice William Osgoode, who always considered him a French officer. In 1802 the regiment was disbanded. From 1802 to 1812 the British authorities once more relegated the Canadian seigneurial gentry to the background as far as military matters were concerned. Chaussegros de Léry had no choice but to adapt to civilian life since, as he admitted in 1796, it was a bit late and it would be costly to “line up for a place” in a regular regiment of the British army. This time he was in a better situation and the transition was easier. 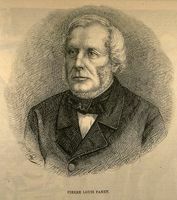 His father’s death and his connection by marriage with the Boucherville clan gave him greater access to seigneurial holdings. Furthermore, his father-in-law did everything in his power to leave him his post as grand voyer (chief road commissioner) in the district of Montreal; Chaussegros de Léry succeeded him on 7 April 1806 and held the post until his death. He was also appointed justice of the peace in the same district a year later. During the war of 1812 Chaussegros de Léry, who no longer felt drawn to military life, was content to remain in the Boucherville sedentary militia, receiving the rank of major in September 1812 and lieutenant-colonel in June 1813. On 9 Feb. 1818 he became a member of the Legislative Council, a privilege that on the death of his father he had sought unsuccessfully from Governor Robert Prescott*. In the course of his remaining years he received a number of commissions, particularly as justice of the peace in various districts. With the exception of Charles-Étienne*, Louis-René’s brother, the branch of the Chaussegros de Lérys in Canada were above all soldiers. So determined were they to satisfy their ambitions in this field, that they tried to make careers for themselves abroad to get around the British policy which after 1760 forbad them a real military career in their own country. Louis-René Chaussegros de Léry returned home only when driven out of France. It was in the end as a landowner that he gained stability, recognition by the British authorities, and some control of his destiny. ANQ-Q, CN1-230; P-40. PAC, RG 68, General index, 1651–1841. F.-J. Chaussegros de Léry, “Lettres du vicomte François-Joseph Chaussegros de Léry à sa famille,” ANQ Rapport, 1933–34: 34–35, 39, 60. Quebec Gazette, 24 May 1792, 10 July 1794, 23 April 1807, 19 Nov. 1812, 10 June 1813. F.-J. Audet, “Les législateurs du Bas-Canada.” Officers of British forces in Canada (Irving), 100–1, 189. Quebec almanac, 1799: 98; 1801: 100; 1805: 53; 1810: 65; 1815:. 102. P.-G. Roy, Inventaire des papiers de Léry conservés aux Archives de la province de Québec (3v., Québec, 1939–40), 2: 262; 3: 51, 57–59, 67–68, 165–66, 178–79, 187–90, 196–97, 208–9, 212, 227. Turcotte, Le Conseil législatif. Galameau, La France devant l’opinion canadienne (1760–1815), 173, 242–43, 287. Paquet et Wallot, Patronage et pouvoir dans le Bas-Canada, 40. P.-G. Roy, La famille Chaussegros de Léry (Lévis, Qué., 1934). L.-P. Desrosiers, “Montréal soulève la province,” Cahiers des Dix, 8 (1943): 77–78, 80, 90. J.-J. Lefebvre, “Michel-Eustache-Gaspard-Alain Chartier de Lotbinière (1748–1822),” ANQ Rapport, 1951–53: 378, 382, 404–5. P.-G. Roy, “La famille Chaussegros de Léry,” BRH, 40 (1934): 599–601; “Les grands voyers de la Nouvelle-France et leurs successeurs,” Cahiers des Dix, 8: 228–29. “Les seigneuries de la famille de Léry,” BRH, 40: 684–92. Roch Legault, “CHAUSSEGROS DE LÉRY, LOUIS-RENÉ,” in Dictionary of Canadian Biography, vol. 6, University of Toronto/Université Laval, 2003–, accessed April 24, 2019, http://www.biographi.ca/en/bio/chaussegros_de_lery_louis_rene_6E.html.